Q1. What is a half byte also called as? Q2. 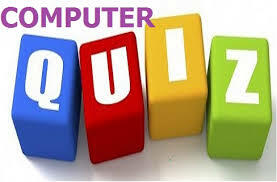 The CPU in a computer is an example of ______. Q3. Which button makes alphabets/letters in uppercase and lowercase and numbers to symbols? Q4. RAM is a part of _________. Q5. Which of the following is not a valid memory unit? Q6. What is the software frequently utilized by end users called (like Word, PowerPoint)? Q7. To protect your system from computer hackers you must turn on a(n) _______. Q8. Which of the following is not an example of a Web Browser? Q10. What is a joy stick primarily in computers used for?